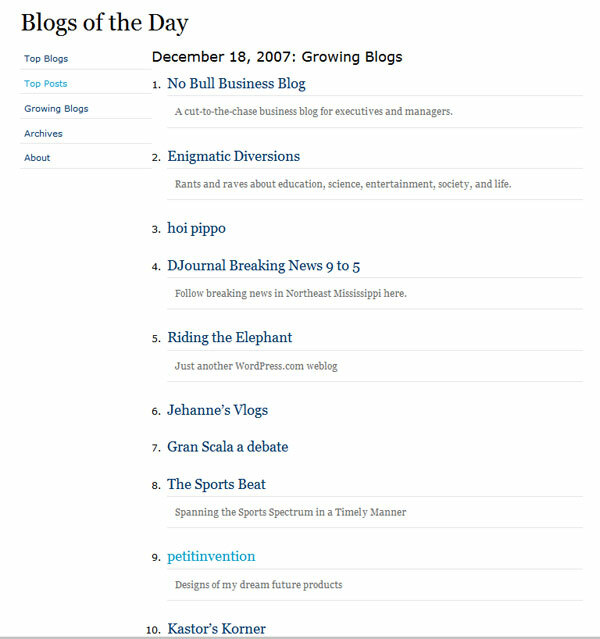 Thanks to all your interest, Petitinvention is chosen one of “Blogs of the Day” of WordPress for December 18, 2007. I really appreciate everyone who visited Petitinvention. I’ll introduce more and more interesting ideas for the coming holidays and next year. Looking forward to your comments! The idea “Future of the Internet Search: Mobile Version” was chosen “Featured” on Behance Network. Thank you so much! Hi Mac. Nice posts you have here. Tanks for sharing them. I am a Graphic Designer too, in Portugal. I do not have a personal website online yet but you can see some of my work at http://www.paletadeideias.pt. Thanks to all of your interest, petitinvention was chosen again as one of blogs of the day by wordpress. 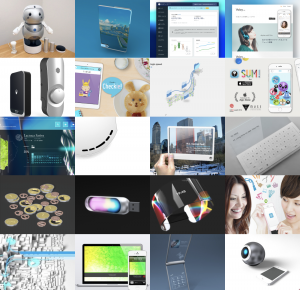 So far, “Future of Internet: Mobile version” post has been blogged in more than 50 other blogs including Yanko Design, which I’ve wanted my idea to be picked at (Thanks, Takashi!). Hope I can have more comments so I can think of better ideas to share! “Future of the Internet Search: Mobile Version” was picked as “Best Of February 2008” by YANKO DESIGN! Thank you sooooooo much!!! Another fan of your work, just wondering if the google guys have been beating down your door. They should be, your concepts are brilliant and they will definitely affect different industries and undoubtedly people on the whole. As an Information Architect and (web) Interface Designer your Mobile version definitely has me thinking about how the nature of my own work should evolve for these type of emerging technologies. It has me looking forward and re-conceptualizing the way I strategise and design for the user interface and user. Thank you and keep on inspiring others! BTW not that it really matters, but even Kanye West loves your concept. Your design was featured in one of his blog posts, but he failed to link back to your site :(. Thank you, P Kayne. I’m honored. I was surprised to hear about Kanye West! Hi Mac! I really liked your idea about the Transparent Slide Mobile Encyclopedia. I am doing a project on Emerging Technologies and want to showcase and share your concept in the classroom.I would really appreciate it if you could share some more pictures or videos and explain us about the basic technology that is used in developing this gadget as i come from a non-technical background:)) Thanks a Lot! i work for the belgian magazine focus knack (sort of like rolling stone and the face into one) and we would like to do a short piece on ‘the looking glass’ in our e-section. do you have some photos in high resolution that we can use them in the magazine? of course we’ll also put a link to your website under the article. my deadline is friday morning but if you could already send me stuff sooner, that would be great. Hey Mac, I enjoyed viewing your ideas. I blogged about one of my own the other day if you’re interested. What are the patent laws like in Japan? Over here in Ireland I would lose all rights to an idea if I published it before filing a patent. Levitat, thanks for your comment. I know almost nothing about patent in Japan. ‘Cause I’m doing this just for fun! Hi Mac–I’m an amateur inventor and I love your ideas. If you are open to collaboration I would love to get in contact with you. My email and website are included. Thanks! I’m featured in the May issue of a Russian magazine “Interbizness”! Just wanted to quickly say that I really enjoyed your ideas. They are extremely interesting and thought provoking. Subscribing now! Thank you so much, Clint! my name is kumail, your work is truly amazing. it is a very famous operating system booming and increasing in market share. it is free and open source which mean any one an use and help create it. i really like the idea of the thrash can icon changing with time , and the cd with the space. i would recommend it if you could participate and provide them with the ideas so they could implement them on the operating system. anyways , keep up the good work, and it would be a shame if it all went waste. Hi Kumail, thank you very much for your comment and suggestion. I’ve heard of linux ubuntu, but didn’t know what it really is. I’ll take a look to see what I can do. Thanks! I’m an editor of a Chinese online magazine (www.noline.net.cn). This online magazine focuses on ads, design, innovation, invention on new media. Any new and fresh ideas are welcome. If you agree, I hope to cover your inventions on our website, of course we’ll indicate the author and put your link address on. Besides, we’ll explain your works in Chinese to the huge Chinese market. Please drop me a line when you have time. Thank you so much for your contact! Yes, of course I agree. Please tell me if there’s anything you need. Is that possible to get your email address for a better communication? Your mobile search mockups kind of look like the Thrrum product which was doing the rounds in blogs recently. Some great ideas on here, I’m also in Tokyo! I really feel out of my dept here but here goes. I’m the MD of an international search company in Germany. We’ve been working on and off with Vodafone for over 5 years and are recruiting heavily at the moment for their Düsseldorf/London offices. We’re current looking for Conceptual Designers, UI/UE Managers and several heavyweight management roles. If anyone would like to look over some Job Descriptions then please do not hesitate in contacting me directly. I look forward in speaking with anyone interested. p.s. please not that all roles are permanent. I apologise if this is the wrong forum. Got interviewed by The Pakistani Spectator! just found your blog very cool. was wondering if you have seen any natural AI working with avatars kinda like what humanityonline and amyauto are doing? seth crofton, thanks. I don’t know. What are they? Do you do project work? Considering you as a real influencer in the world of design, we take pleasure in inviting you to be a part of our “Design Geek’s Mantras” series on thedesignblog.org. My name is Radhika and I’m associated with Instablogs News Network, an interactive platform reaching to over 2.5 million trans-continental audience each month. The “Design Geeks’ Mantras” series will highlight your expert viewpoint on a single topic. Your viewpoint will appear along with opinions expressed by other design experts in a single article. It’s simple. You just have to give your opinion in brief on the given question. Design Geeks’ Mantras: Is iPhone the best-designed phone ever made? You can forward us your answer via mail. Can you give some more info on shade or did I miss something here. Ed, thanks for your comment. Here’s the info of Shade. I guess the latest version 10 is only in Japanese. Hey Mac Thanx for your input!! Hello Mac! You make wonderful things, your blog is a discovery. Fully share your passion to moleskine and apple =). You’re really creative, I have to say. You are very talented and inspiring! I really hope to see some of your ideas put to use someday. Keep it up man. Hello Mac, I’m a big fan of your work. I got so used to receive your crazy stuff via feed reader that I forgot to blog about it. I did it now. I hope I can buy one of your designs one day. newpeoplemanagement, thanks a lot for your comment. Yeah, I hope Apple will. Wow, this site is very inspiring and I love it. Great ideas and well presented. would be cool to have one of your phones in real world. I just say only mindblowing fantastic mab work. Are there any english tutorials for shade available? Florian, thanks for your comment. Here’s the info about Shade in English, but it’s about ver.9. Mac, I am an MBA student in London and taking the internet marketing course, where we discuss a lot about internet, search and etc.. As an exercise we have to write a blog during the course. And that’s why I’m contacting you. I am a really fan of your designs/ideas and would like to post some pictures in my blog.. of course I ‘d mention you and your URL.. is that ok? I wish if I could learn all these! I am a newbie and tried my hand on a few things. If you don’t mind, please can you provide me place from where I can learn a bit like you? There’s a competition by Triflow (tap manufacturer in the UK) that’s going on where the winner can get his/her invention produced. The deadline in September 9,2009. I figured it might be something that you’d be interested in. Here’s the link : http://www.triflowconcepts.com/competition and good luck if you decide to participate. Thanks for the info. I’ll check it out and see if I can try. Congratulations must be given to you, for taking on this path. From what I’ve understood, you have only been doing this ‘professionally’ for a short ammount of time. As a 16 year old aspiring architect/designer, living in (relatively safe) Brisbane, Australia, I like to think my work might eventually be understood and achknowleged, instead of disregarded as a small-time hobby. Awesome blog! Your designs are exceptional, i really like them. I am an editor of “Surface China”, recently we are preparing an aritcle about coin design. ” on Designboom and wonder if I have the honor to interview you over the net. Could you please send me a brief introduction and high-resolution images about this work, as well as your personal profile? have been following your blog for three days. really love your posts. btw i’m conducting a report concerning this area. do you happen to know any other great websites or maybe forums in which I can get more information? thanks a ton. random Q: what font are you using on this website? I really like it for its clarity and readability. Hi mj, thanks for your comment. The font for the main content is the default one set by WordPress I guess. For the header and banner images, I use Helvetica. Unfortunately this is just a concept model I made up, so there’s no further information about it. I hope your presentation will go well. Has anyone implemented your future designs in real life applications? Not that I know of… yet. And you don’t want to do with this? This is unique! You have to do someting with this. It’s maybe not all about the money, but here (I live in the Netherlands) we should be very interested in your kind of products. You are too nice… No that was a joke. You are very nice, but why don’t you want to sell these products. I’m just thirteen years old, but I am very interested. I’d like it to e-mail eachoter. Least, if you like it… But, I am interessed in your awesome products. I’ve got an Ipod touch and I like your gadgets… But I think it’s very pity that your products are not for sell 🙁 I can go ahead with talking like this, but it’s your opinion, so it’s your desicion… The only thing I would say ; The world could use somebody like YOU! took me a while to browse all the comments, but I really enjoyed the subject that you chose. It looked to be very helpful to me and I am sure to all the other people who have looked at this blog, Its always nice when your not only informed, but your also entertained! Im positive you had fun writing this article. Im going to grab your rss feed so I dont miss anything important that you guys may come up with in the future, Thanks..
Amazing! I find it surprising innovation, and I’ve been seeing that many of the things that show would go very far. I am looking to find a developer for an iphone/ipad app for our ecommerce store. I have something I want to model it on. Could we sort out a quote if I send you a spec? Thanks. I got my last template from elegatthemes.com. Now I want to do an online store with wordpress. What would I need in order to do this? Any specific plugins? Thanks a lot in advanced for your expert help. Every weekend i used to pay a quick visit this web page, as i wish for enjoyment, as this this site conations actually nice funny data too. Moving companies in NJ don’t compare to Hercules Movers, the tri-state areas number one moving company for local, long distance and international moves since 1983. Learn more about Artistic Kitchen Designs and our transitional, contemporary kitchens, as well as the other custom kitchen designs we offer in the NYC area. Pretty element of content. I simply stumbled upon your site and in accession capital to assert that I acquire in fact loved account your weblog posts. Anyway I’ll be subscribing in your feeds and even I fulfillment you get right of entry to consistently fast. Sharing love quotes with one you love is a great way to let them know you care. With hundreds of quotes to choose from you are sure to find the perfect quote on love here! Smiles are contagious so be sure to make someone smile today.Find the perfect quote on love here! Browse through these wonderful love quotes Share a love quote with someone today. I have seen your website serveral times, some design are really impressive. Do you make any proftit by just release your design to the public? I am new to the design Industry. I would like to know that how much an outstanding Mobile Phone Design (just for what it is looks like and a few screen interface) worth $$$? One of main reason for iPhone successes is its nice phone body design. In today mobile phone market, most moblie phones use same operating system android and have similar hardware standard. A Mobile phone with excellent shape design can make it unique and outstanding from the other brand of mobile phone. In design industry, do mobile companies spend lot money to buy a nice mobile Phone Design from private contractor? How much it worth roughly? What about car design, does an excellent concept car design worth some money? Great information. I am going to share it to my workmates. 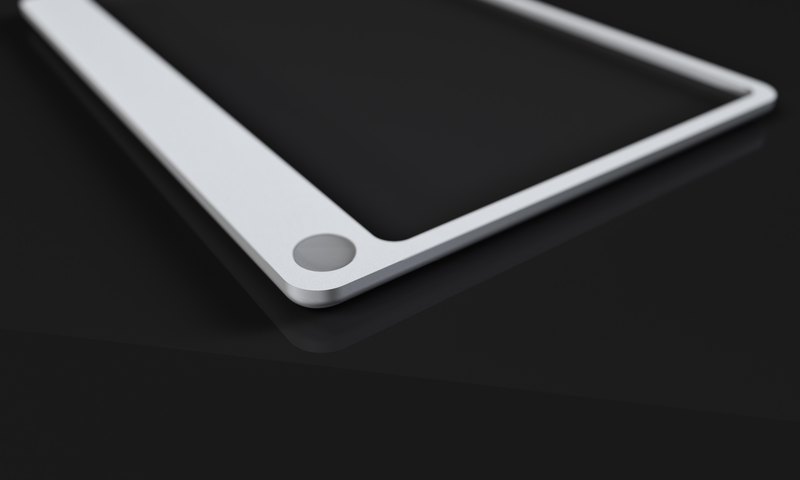 Here’s an iPad and tablet accessory that is launching this month. You can buy one and it will be donated to a wounded US Veteran. Viagra health care for men! could be a great author. I will make sure to bookmark your blog and will often come back very soon. Mac, keep walking! Your portfolio is great! It seems incredible and amazing innovation , plus many interesting things. Congratulations and greetings .